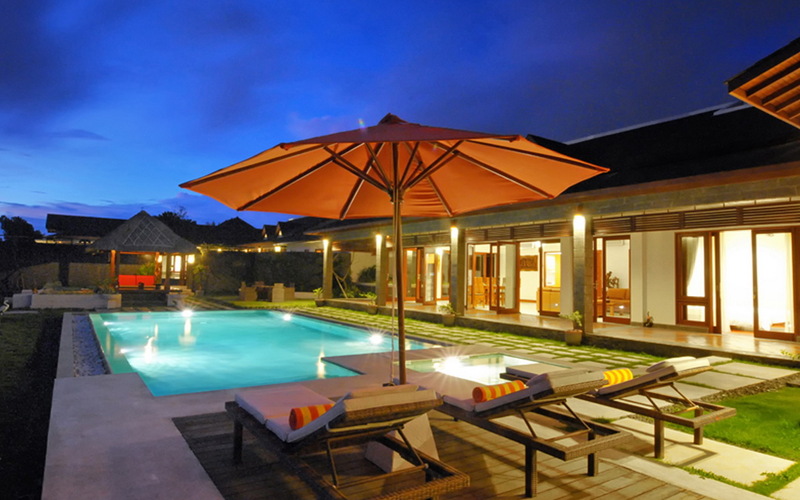 From $ 558 $ 508AUD per night We have direct contracts with most villa owners. We don't add any booking fees. We are 100% transparent with no nasty surprises. 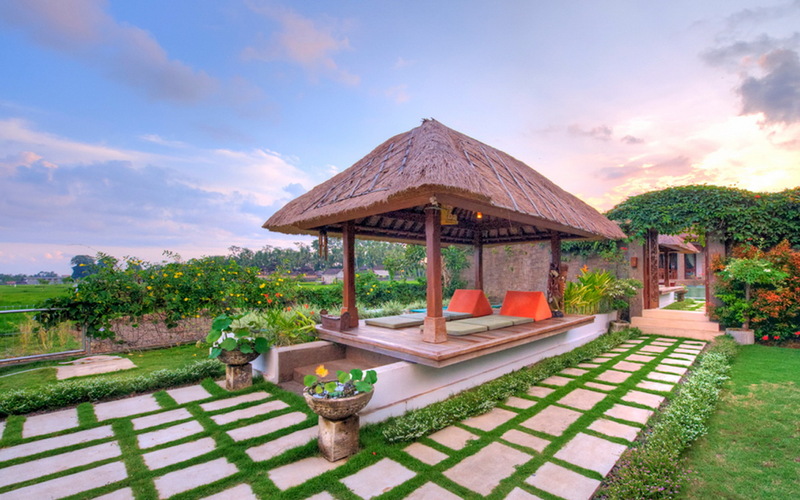 Villa Griya Aditi is simply luxurious and the best part of this villa is that you are surrounded by the gorgeous Balinese rice fields – one of the most stunning views you will have on your Bali holiday. In house really friendly Balinese staff to cater for all your holiday needs. 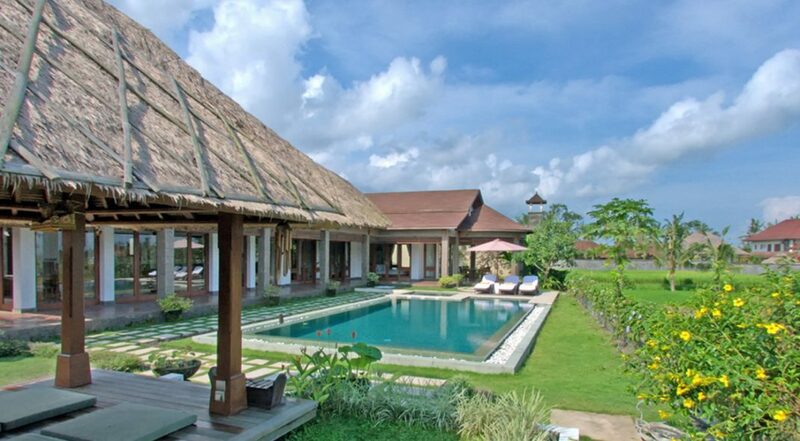 Relaxed atmosphere in a rural Balinese village setting – yet very close to the centre of Ubud. 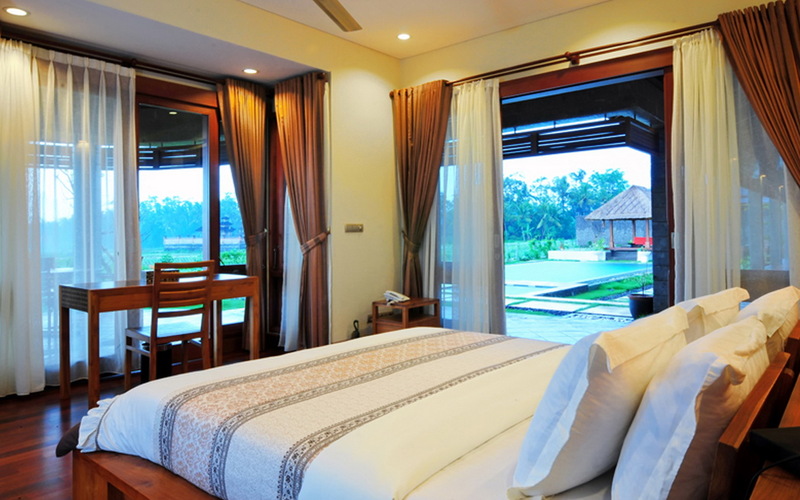 Villa Griya Aditi is a 3 bedroom Ubud holiday villa rental & is situated just minutes from the Ubud town centre. Guests can explore a treasure-trove of diverse cafes, restaurants, health food shops, bars, boutiques and traditional markets. 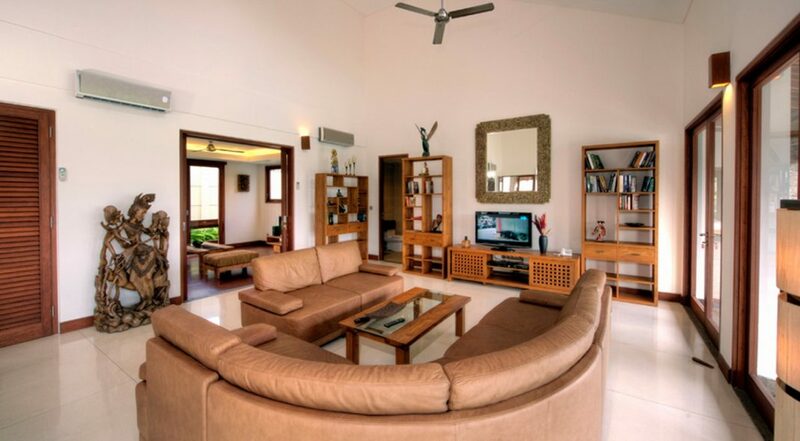 Three bedrooms provides accommodation for up to 6 guests or rent the adjoining Villa Griya Atma, combined they offer 7 bedrooms for up to 14 guests. 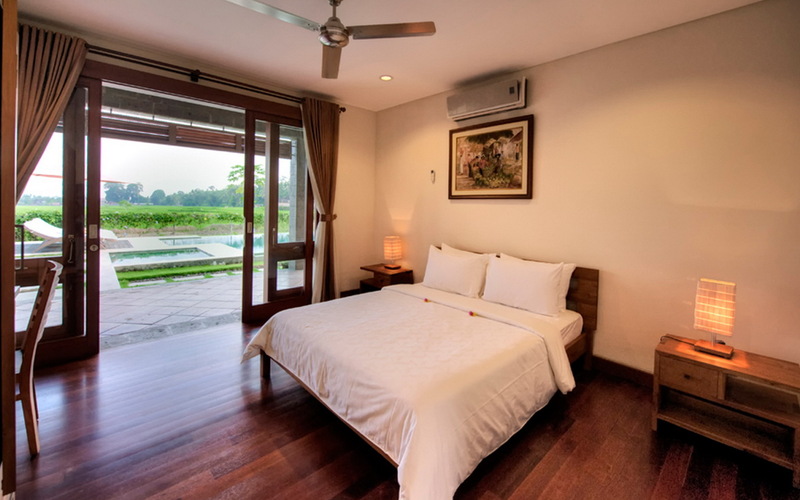 From the comforts of your sun recliner, the poolside Jacuzzi or the cushioned relaxation bale, the views of the rice fields will quickly take you into a state calm and relaxation. 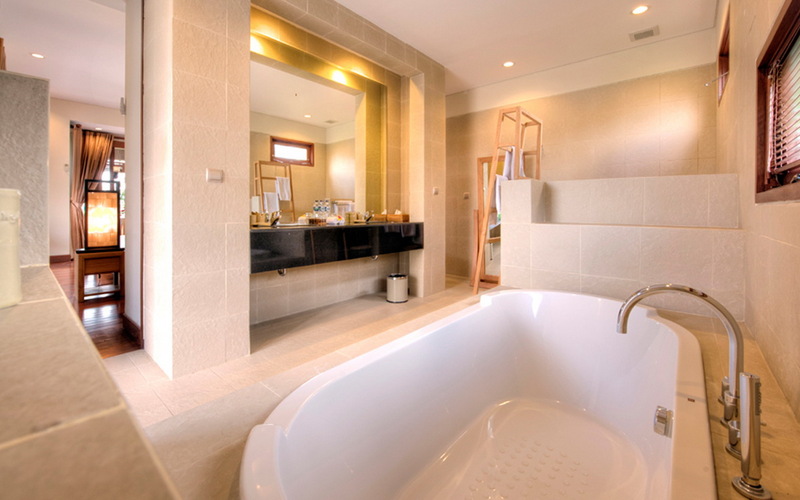 The kids can play in safety in the shallows of the Jacuzzi as you enjoy a new book under the shade of the parasol. 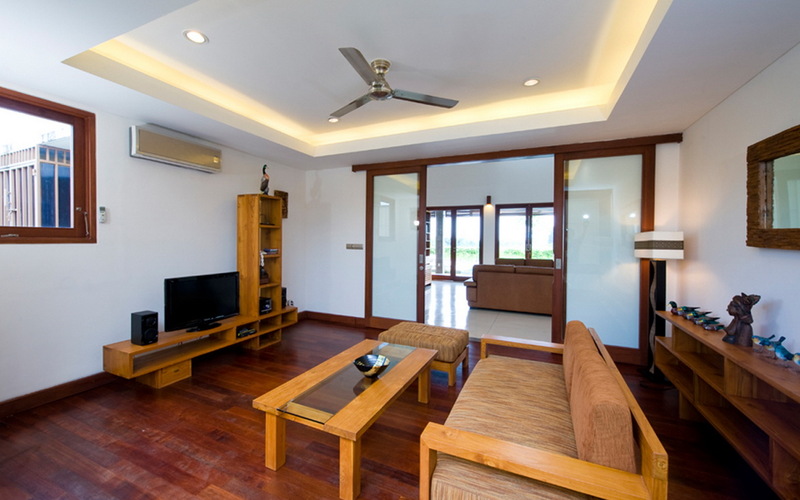 The main living area runs alongside the pool and directly faces the rice fields, maximizing guest’s enjoyment as they enjoy the air-conditioned comfort. 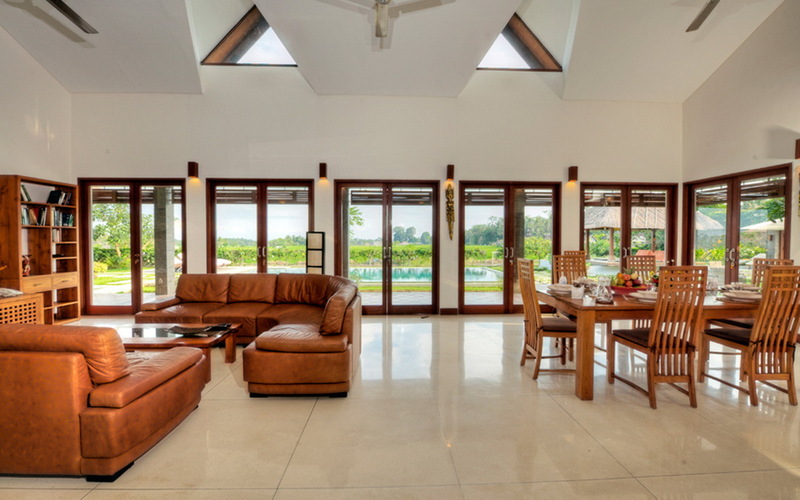 Large glass sliding doors can be opened to enjoy cooling afternoon breezes, the dining and lounge areas feature pleasant timber furnishings, a large sofa, a place to relax in front of the TV and the dining table can comfortably seat 8 guests. 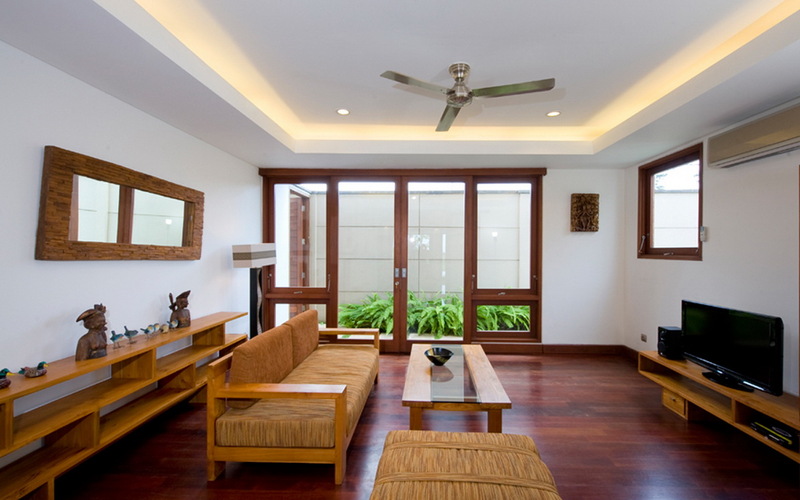 The room is spacious with plenty of natural light filtering through the floor to ceiling doors and skylights. There is a separate media room with another flat-screen, perfect if the kids want to watch a DVD by themselves. 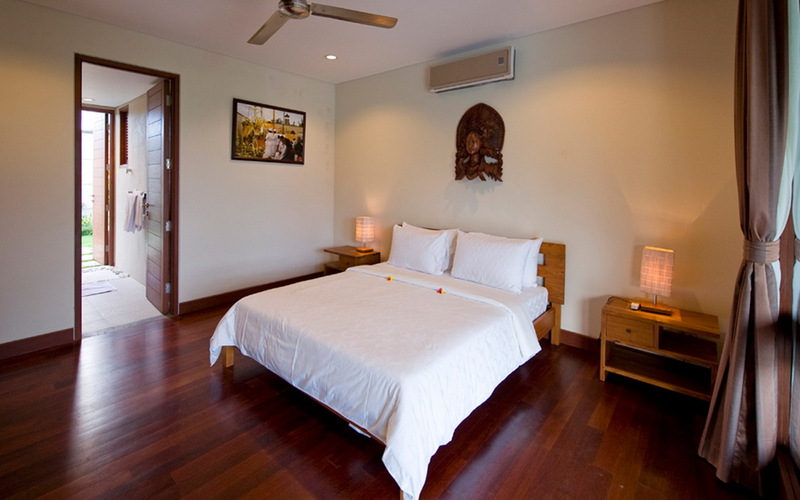 The master suite has a private patio with views of the pool and rice fields, a premium timber king sized bed, the en-suites boasts a huge built-in soaking tub and twin vanities and an outdoor monsoon shower. The two guest suites feature comfortable queen size beds and all guests can enjoy the kimonos and slippers stowed in the wardrobes. 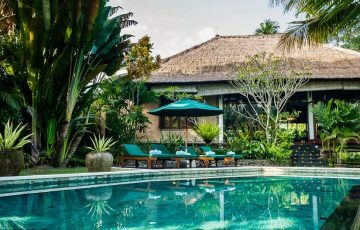 Guests of Villa Griya Aditi will be well taken care of by the friendly Balinese staff, the villa manager is supported by a cook, butler, security guard and house keeper who will make sure the villa is cleaned daily. There is a resident driver and car at the villa who can take you to not only the popular tourist attractions but also some of the secret places only the locals are familiar with. 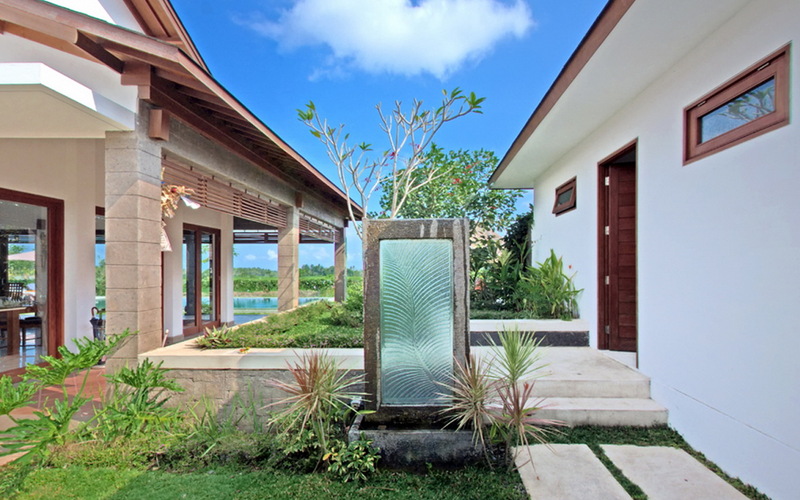 Take a relaxing stroll and experience Balinese life as the locals go about their daily routine around the villa. Some of the local tourist attractions include the Hanging Gardens restaurant, Naughty Nuris is a must for pork ribs and the Monkey Forrest is worth a visit. There are plenty of eating options to enjoy and the traditional markets are well worth a visit, a great place to buy handicrafts for friends and family back home. A stay here means that you have the option to have as much down time as you like or immerse yourself in all the activities and excitement that makes Ubud so special. 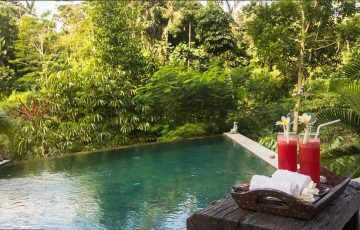 To view our full range of Ubud Villas or other Bali villas that are perfect for a family holiday please browse this website or contact our reservation team. 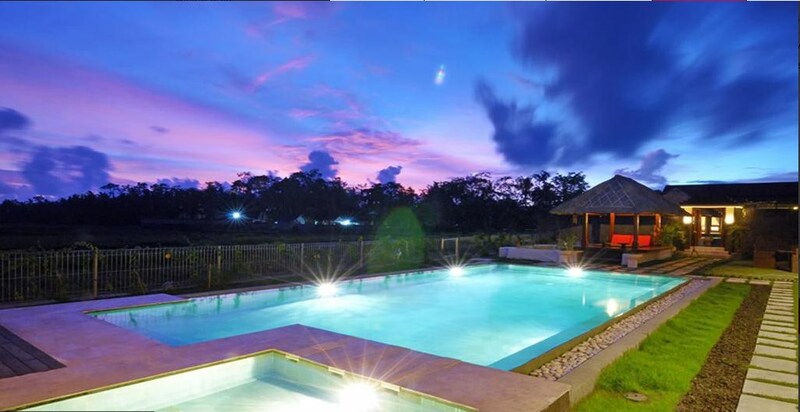 This is a popular Ubud holiday villa so please book Villa Griya Aditi well in advance especially if your planning a trip to Bali during the Australian public & school holidays. 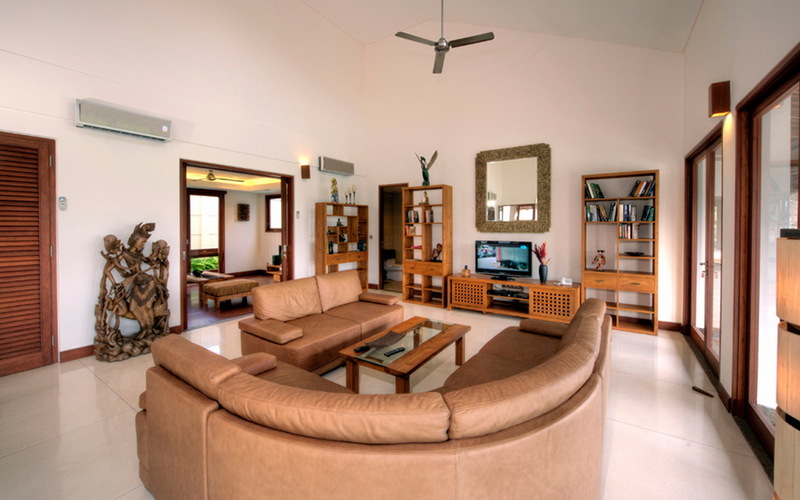 If you want to experience something really amazing stay in Villa Griya Aditi! We booked the villa for 7 days and extended it for another 2 because we had such a great time with our family. We couldn't have asked for anything more. Everything was perfect. 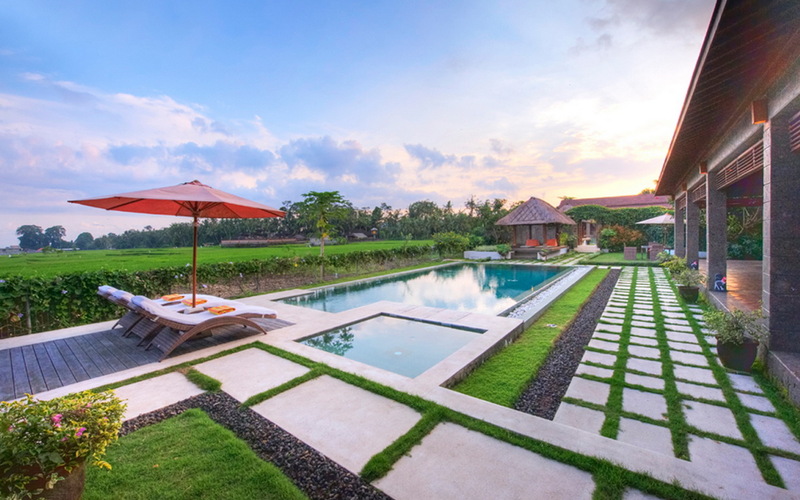 We loved the way the pool was set among the rice fields and the overall peace and tranquility of the villa. Massive villa with sensational cook, waiter and security guard so we really felt safe and secure 24/7. 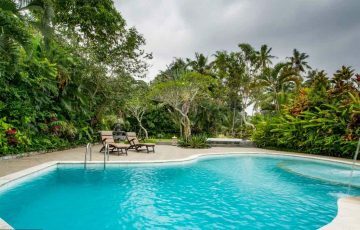 Griya Aditi is about 10 minutes from the centre of Ubud yet in a really lovely location, this villa was ideal for our family of 6 that just wanted to relax and get away from it all for a week of pure bliss. When you get up in the morning and see the rice fields and the farmers we felt so relaxed and calm and this is what we wanted and this is why we stayed in a villa in Ubud. The villa itself was meticulous and very well maintained by the local staff and the rooms and common areas were spacious and very clean - overall we absolutely loved our stay here and can't wait to do it all again next time. 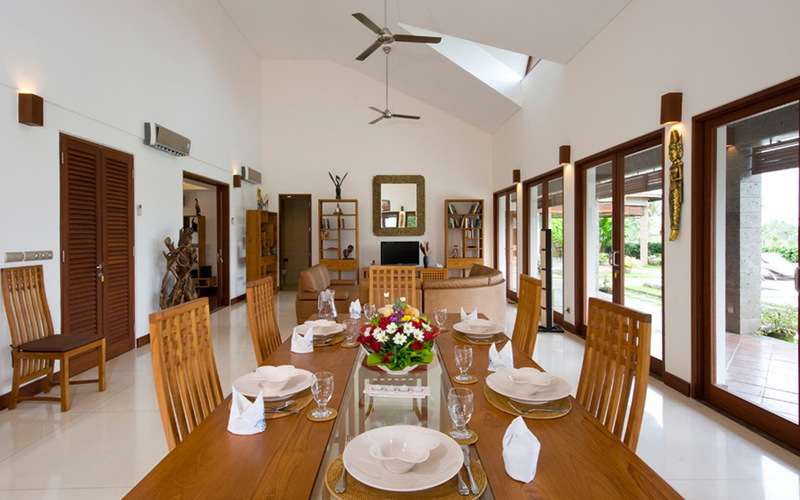 For the great location, the wonderful atmosphere and fabulous staff we give this villa a 10 out of 10! 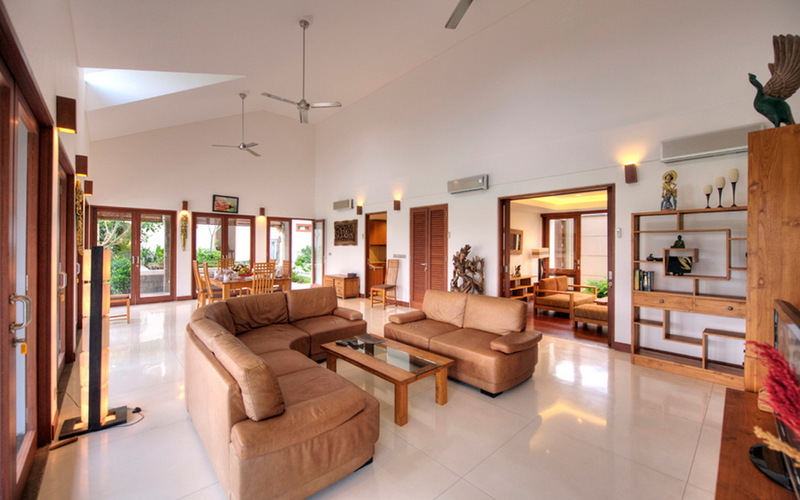 We booked Griya Aditi villa for our family gathering at the end of the year at Christmas 2015. There were 7 of us in total and we found the place to be very clean, modern and comfortable with the added bonus of the most stunning views over the rice fields. They were actually along with the fabulous swimming pool and attentive staff the best part of the trip. 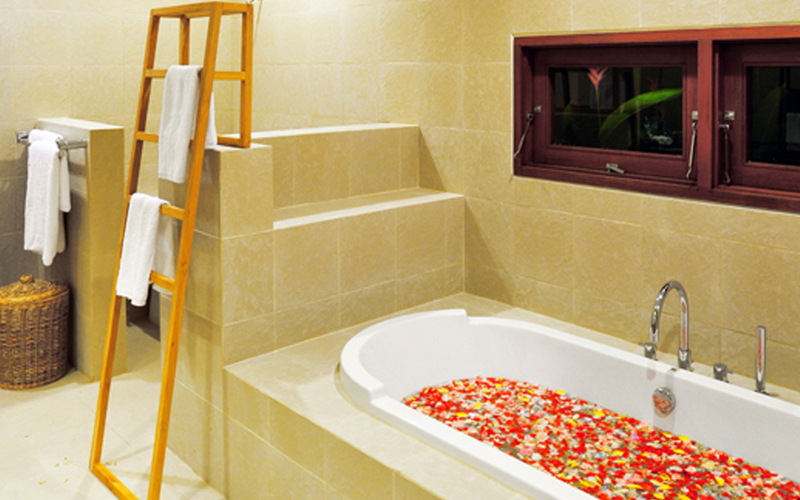 We found that we didn't want to leave the villa and preferred to just be in this sensational oasis of luxury. 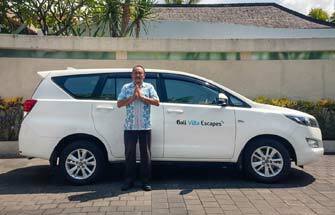 Having said that we did venture out to Ubud (to have dinner and do some sightseeing) as there was a driver at the villa when ever we needed him. 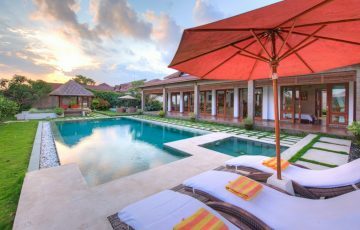 If your wanting to stay in a little bit of paradise next time your in Bali, I thoroughly recommend a few days at this villa. You will absolutely love it.. Huge villa with in house cook, waiter and security guard. Amazing location close to Ubud centre which is where we went most days to shop and simply explore the array of streets and local vendors. 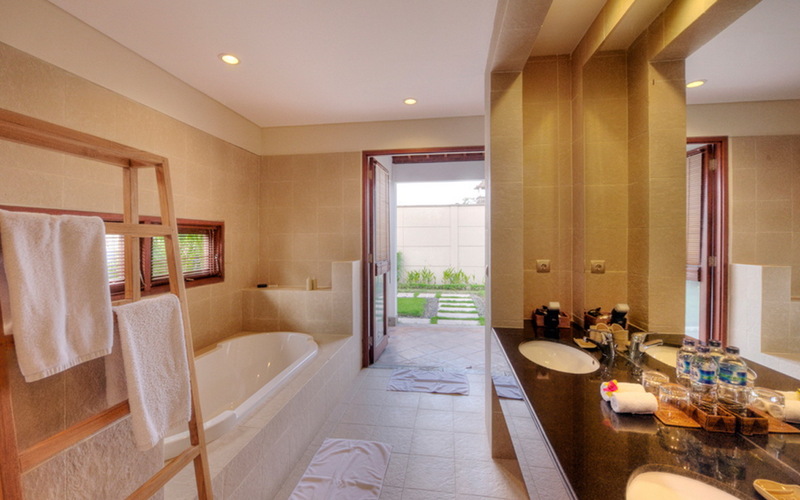 This was a really relaxing villa and as the days past we felt more and more relaxed. Clean, modern and ultra beautiful villa. 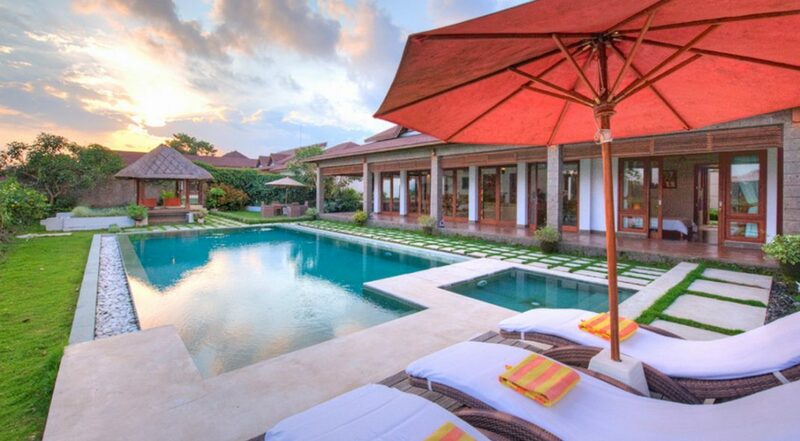 Definitely one villa you should be staying in. Really large villa - in fact bigger than we were expecting. Really quiet will lovely rice field views. Enjoyed every day here. Had such a great holiday and want to thank all the staff especially Kadek and Wayan for making our stay so pleasant. We will be back.